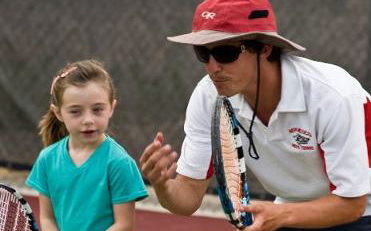 Become An ANTS NATION Tennis Coach! Thank you for your interest in becoming and ANTS Tennis coach. This is your opportunity to grow the sport of tennis, have a positive impact on a child's life, and have a great time doing it! It is also an opportunity for you to make $25+/hr. We have built a community of tennis enthusiasts, nation-wide, and we link them up with tennis coaching professionals like you. First, we focus on bringing individuals on-board who are capable of teaching group (team) tennis. By utilizing modified equipment we are able to teach tennis like a team sport, such as soccer and basketball. We focus on 10 week seasons and encourage finding practice and play time. Secondly, we also offer traditional private lessons. What sets us apart, is our desire to strictly coach tennis to those exploring the game, beginners and intermediates while utilizing the amazing modified equipment that has been used in Europe for decades and was adopted by the USTA years ago. BECOME AN ANTS NATION NETWORK COACH - Upload your profile onto our platform, including availability of hours, locations available to coach, and highlights of your playing/coaching career and start making $25+/hr!